Depending on the application your design will be utilized for, there’s a wide selection of materials that are compatible with CNC milling technology. Once you decide to employ CNC machining to produce your product, it’s time to select the right material for your needs, be it metal, plastic, or perhaps even wood. In the following article, we’ll introduce you to some of the most widely used CNC milling materials, and also explain which applications each material is best suited for. 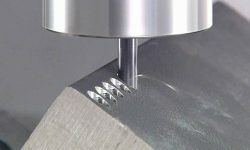 One of the most common material types for CNC milling are metals, and there are also a extensive range to select from. Let’s take a general look at the most well-known options, and which applications each metal is best suited for. Aluminum – Perhaps the most widely used CNC milling material, aluminum is a great option for both mechanical and aspect components. Compared to other metals, aluminum is generally able to be machined quicker than others, making it the most economically viable of the bunch. Parts made from aluminum form a protective layer when exposed to the environment, which leads to extra strength and corrosion resistance. Given these premium material characteristics, CNC milled aluminum is ideal for use in the automotive, aerospace, healthcare, and consumer electronics industry. Specific applications include aircraft fittings, electronic housings, medical devices, gears and shafts, etc. Steel – For the most part, the different steel alloys available for CNC milling services are engineered for excellent machinability. 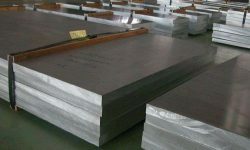 Although the specific material properties depend on the alloy (commonly used alloys include 1018, 1215, 12L14, etc), steel is typically used for parts that require enhanced formability and stronger welds. Depending on the alloy of the steel, the best applications for this material include commercial products, parts that require strong welds, gears and shafts, along with other high stress applications. Stainless Steel – One of the benefits of using stainless steel alloys is that they can be heat treated and supply corrosion resistant properties. The potential applications for CNC milling with stainless steel reach far and wide, used for anything from surgical equipment to electronics hardware, as well as other parts that necessitate more formability and weldability. Stainless steel alloys are also commonly used in the automotive and aerospace industry. Titanium – What makes titanium a unique material is its high temperature melting point, making it a viable choice for many industries and applications. It’s considered to be corrosion resistant, and is also impervious to ductile, salt, and water. Despite being biocompatible and lightweight, titanium material provides strength and sturdiness that makes it well-suited for applications like medical implants, aircraft components, and even jewelry. Brass – Recognized as one of the easiest and cost-effective materials to use with CNC milling, brass offers in stability what it tends to lack in strength. Common uses include medical equipment, consumer goods, and electrical hardware and contacts. As brass also offers low friction coefficient and high corrosion resistant properties, they are also utilized for applications in the fields of engineering, plumbing, steam work, even for musical instruments. Copper – When it comes to CNC milling materials, few metals offer the electric conductivity of copper. High corrosion resistance helps this material fight off rust, while thermal conductivity properties make the shaping process easier during CNC machining. Oftentimes utilized in the automotive industry, applications include cooling systems and heat exchangers, as well as various engineering applications like valves and radiators. However, it’s important to know that copper is weak against certain chemicals, such as acids, halogens sulphides, and ammonia solutions. Others – Bronze, Zinc, Magnesium, etc. Outside of this wide range of metal materials, it’s also possible to use plastics, wood, and even fiberglass and foams with CNC machining technology. Let’s take a quick look at what each type has to offer in regard to material properties and applications. In addition to metal materials, 3ERP’s high precision CNC machining services are also compatible with several plastics. Here are some of the most widely used plastics for CNC milling technology. PVC – You can PVC being used in almost any industry, from toy production to water and gas pipes. Why is that? Well for a plastic, PVC provides some highly sought-after material properties, including exceptional resistance to chemicals, corrosion, and even flame. It’s also more affordable than other CNC milling materials, making it a cost-effective option for numerous applications. Nylon – General purpose Nylon is generally easy to machine, and also offers moderate resistance to flame. The most common applications for CNC machined Nylon includes insulators, bearings, as well as short-run products that will be utilized for injection molding. 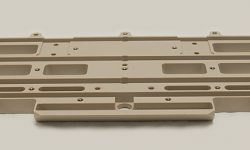 PEEK – Another plastic that offers excellent machinability is Ceramic PEEK, a material with superior dimensional stability and impact strength. Additionally, this stiff plastic offers adequate impact resistance, making it an easy choice for applications like test sockets, switches, connectors, etc. Outside of the aforementioned metal and plastic materials, CNC machining can also be done on a variety of other mediums, including woods and foams. Solid Wood/Plywood – Both solid wood and plywood are aesthetically pleasing materials that resist wear and tear. Plywood differs from solid wood in that it offers more dimensional stability. However, they are usually quite expensive and sometimes require specialized cutting tools. Foams – Relatively inexpensive, lightweight, and easily machinable, foam materials are an excellent option for performing a test run for your model before machining a more expensive material. For instance, extruded polyurethane is a blue foam that many recommend to people inexperienced with CNC milling technology. Still, this material doesn’t offer much by way of material properties, and is susceptible to wear and tear and dimensional instability. Now that you’ve been introduced to the different materials that are used with CNC milling, you can finally plan out which will be best-suited for your application. If you want to learn more about the CNC machining services offered by 3ERP, visit our website or contact us.